Photo: The truth is out there. The number one reason to visit Tulamben is for the diving and snorkelling and the main site is the wreck of USAT Liberty, which was torpedoed by a Japanese submarine in 1942. Browse places to stay in Tulamben on Agoda.com. Free cancellation. The mineral rich runoff from Gunung Agung may also add to the fertility of the waters here, and besides the wreck, there are a number of excellent shore dives. In recent years bleaching has occurred, but we were told it’s minimal and much has grown back. Snorkelling is possible at many of the sights, however these waters attract a large number of jellyfish — a wetsuit is recommended and can be hired for 50,000 rupiah. Don’t forget the sunblock — sunburn can ruin a dive or snorkelling trip. Possibly the most famous dive site in Bali, the wreck of USAT Liberty can attract hundreds of divers per day. It’s a great dive for all levels and has something for everybody. If you wish to beat the crowds — head out early. Snorkelling is also possible above the wreck though visibility isn’t always ideal. The wreck is 120 metres in length, and rests on the seabed at a 90-degree angle with the deck facing the open sea. The stern sits at a depth of six metres and the bow at thirty. For more advanced divers there’s the possibility to get inside the hull of the ship and explore. USAT Liberty is widely claimed to be one of the better wrecks in the world for diving. 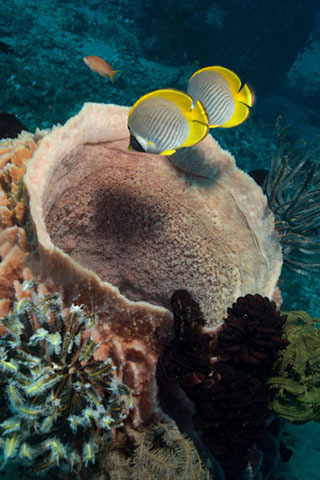 The site is alive with an extraordinary diversity of sea life, covered in corals, sponges and fans, attracting large numbers of bumphead parrotfish, wrasse, trevally, angelfish, butterflyfish and more. The Coral Garden is a shallow dive next to the shipwreck with many pretty corals and nudebranches. Suitable for all dive levels and snorkelling. The Drop Off is a 40 metre, er, drop off, at the end of Tulamben Bay. Follow the wall and you may encounter black tip reef sharks or lionfish. A mild current will help propel you along. Seraya to the south of Tulamben is a macro site, so if it’s tiny critters you’re after, this the place. It’s shallow and there’s no current, so ideal for all levels. If Tulamben is getting too crowded, Kubu is five minutes north and has a couple of good dive sites — Monkey Reef has many beautiful corals and The Boga is an artificially sunk ‘shipwreck’. It was sunk in 2012 by the owners of Relax Resort nearby, so is a little bare of coral but it will grow. It’s only accessible for experienced divers. Many hotels in town have their own dive shops and provide discounts if you are staying with them. And what started as dive shops, also often have a few rooms too — so vice-versa. Prices are competitive and start at 400,000 rupiah per dive, or 750,000 rupiah for two. Discounts are offered for more dives, and many package deals are available. SSI open water courses start at 3,500,000 rupiah and PADI at 4,500,000 rupiah. If you’ve never dived and would like to give it a go, this is an excellent location for an intro dive — these start at 550,000 rupiah and generally include a session in the pool, and one in the water. Snorkelling equipment rates vary — so shop around. The cheapest we saw was 50,000 rupiah for a day. Some places offer guided snorkelling from 150,000 rupiah (minimum two).